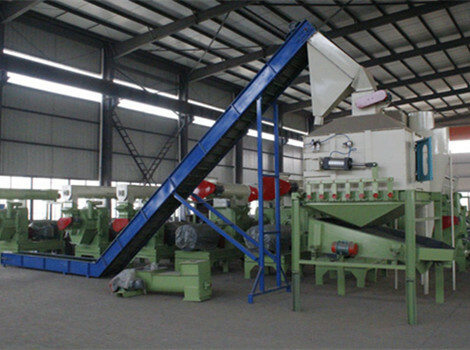 For people who want to make sawdust in large capacities, for example 9-10t/h, this pellet production line can meet your demands. Various kinds of raw materials can be adopted such as sawdust, wood chips, wood logs, lumber mill scrap, etc. These raw materials can be freshly cut, green, partial dry or even kiln dried. 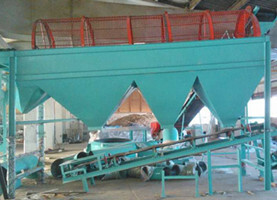 Sawdust pellet production line are beneficial to environment, which can save energy and reduce emissions. 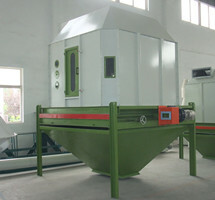 After crushing, raw materials are sent to the rotary drum screen for screening. Large pieces of wood, chippers or other impurities will be screened out during this process. 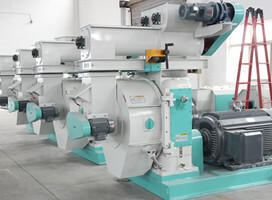 MZLH508 ring die wood pellet mill is designed for large scale commercial and industrial production. 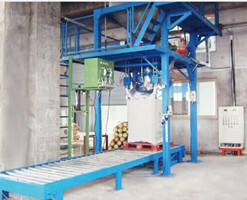 7 sets of ring die wood pellet mill are equipped in this production process. 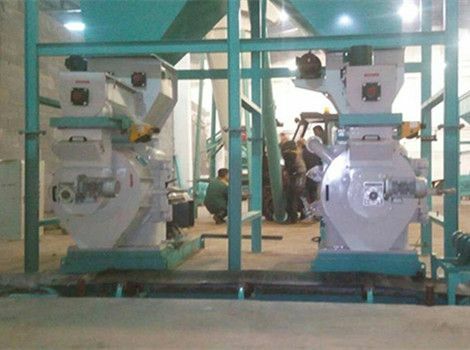 This wood pellet mill are quipped with frequency control motor feeding, overload protection device, outside discharging mechanism and pressurized lubrication system. 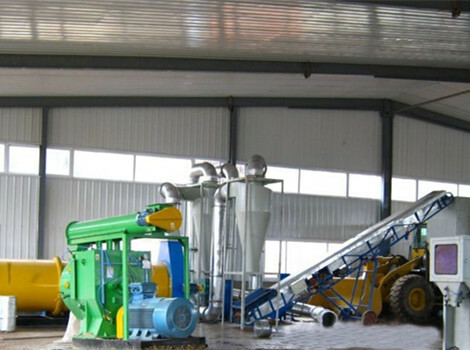 This machine can process crushed sawdust, grass, straw, cotton stalk, peanut shells and other biomass materials. Roller outer diameter 190mm Pellet size 6mm, 8mm, 10mm etc. After discharged from wood pellet mill, sawdust pellets are relatively loose and soft with temperature around 80~90 ℃. Counter flow pellet cooler can helps to cool the pellets to room temperature and make them become tight and durable. Counter flow pellet cooler are characterized by low energy consumption and simple operation. Sawdust pellets packing is the last step in production plant to protect sawdust pellets from damp and dust. In this production line, we adopt ton-bag packing machine. This packing machine is mainly designed for large bag packing. Featured with high accuracy, quick packing speed and stable performance etc.